*AAU and Virginia Commonwealth University prepares special 6-th anniversary of International Consulting Program in June 2018!!! 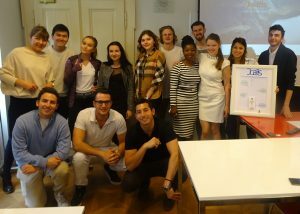 This summer school program had been already attended by 100+ students, supervised by faculty members from both universities with prestigious partners as UNICEF or Verlag Dashoefer. Learn more here. * In October 2017, we prepared the 5th year of our international conference IFRS Global Rules and Local Use. The speakers included Prof. David Alexander, Prof. Anne Jeny, Prof. Jiří Strouhal and many more. Learn more here. 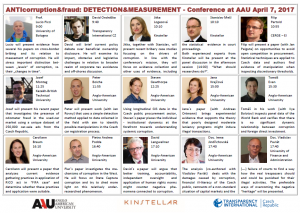 *AAU hosted conference ANTIcorruption&fraud: DETECTION & MEASUREMENT with keynote speakers Prof. Lucio Picci (University of Bologna), Mr. David Ondráčka, Director of TRANSPARENCY INTERNATIONAL CZ, Jitka Logesová and Stanislav Mečl from KINSTELLAR. Learn more about the content and find proceedings here. *The spring semester was rich for corpotate STUDENTS PROJECTS. 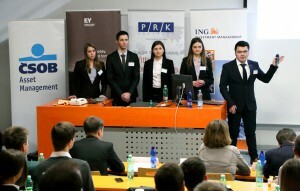 AAU students worked on projects set by JOALIS, IBM, Nestlé and Slovenia Center. We thank to all project participants as well as to client companies for their time and care. Congratulation goes to all winners! Learn more here! *Anglo American University is pleased to announce the establishment of the Center for Leadership Studies which will enhance community of future leaders. 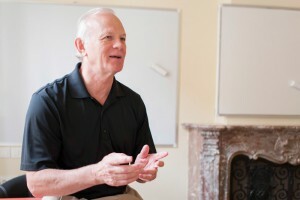 Learn more about the center HERE and see leadership and MBA related events at this list. * The AAU student team, led by faculty member Camelia Isaic, was selected for the local round final presentation in the CFA Challenge based on their excellent performance in the preparatory round. See more HERE. *We have announced the winners for Fall 2014. 35 students competed in two classes and one separate thesis project. Thanks to all participants and congratulations to the winners! More information HERE. 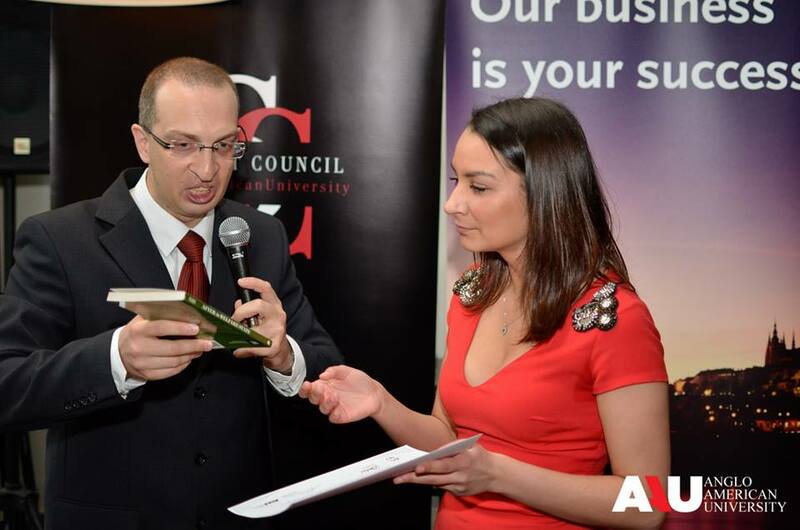 * The 1st ever Anglo-American University of Prague Awards took place on May 29, 2014, and was organized by the student council. Exceptional stud ents had the opportunity to win awards in a number of categories. View photos and read more information about the event HERE.